We are a catering style company based out of Wichita, KS serving charcuterie, crudités, and cheese boards. We are passionate about local ingredients and are sourcing as many organic ingredients as possible. We will be open Final Friday’s for walk-in orders to dine-in at the Revolutsia commons area. 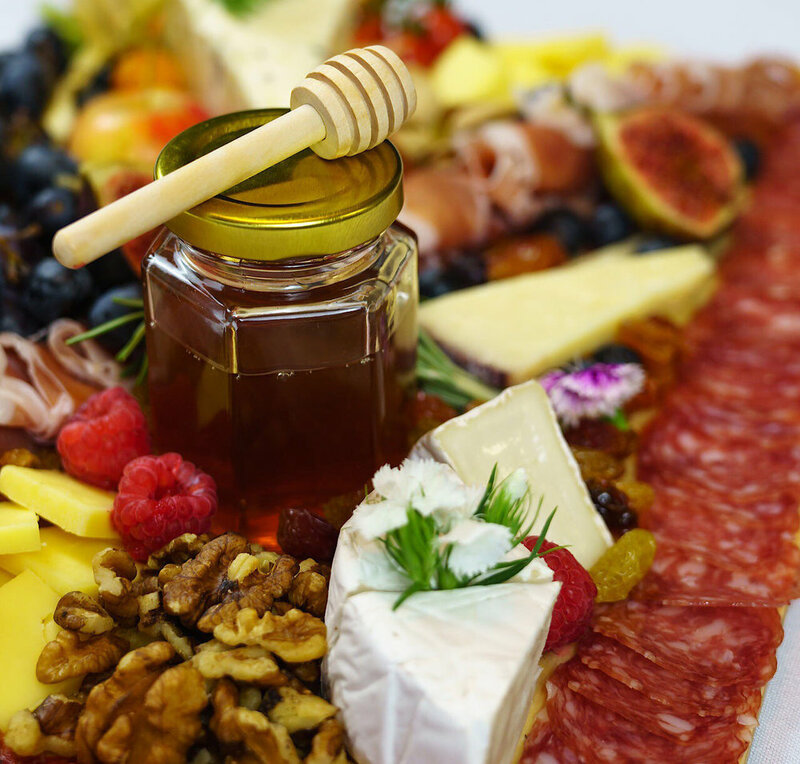 Our charcuterie, crudités, and fruit & cheese boards are the perfect appetizer for parties and events such as bridal or wedding showers, rehearsal dinners, and wedding receptions! Or pair with a bottle of wine and enjoy as a delicious entrée! We are currently requesting one week advance notice for all orders, however please reach out if you have a earlier request and we will do our best to accommodate! We are looking to decrease our carbon footprint as much as possible and will have no plastic items. All of our packaging and utensils are biodegradable. We are looking forward to servicing all sizes of events!